After a truly remarkable summer, the inevitable had to happen and Autumn was to follow… I woke up to a very chilly day and I was amazed at how much colder it got from one day to the next. No more summery outfits I am afraid, at least not if I want to stay away from getting a cold. On a positive note, I am really looking forward to experimenting with Autumn outfits again, more layers means more possibilities right? Some of you might notice that I cut my hair again. I wasn’t planning on it, but after NY and London Fashion Week, plus the remaining of my ombre hair, it was starting to look like a mess. My ends were really dry and it just didn’t look healthy anymore, so off to the hairdresser I went and she advice me to cut at least 3 more centimeters, which is what we did. I feel really strange looking at myself in the mirror and not seeing my long locks, but hair grows back, I just need to wait a little. great outfit! where did you get the infinity necklace? love it! Great casual outfit!! GO TO http://stylemishmash.blogspot.be and check out my blog! great style! I like it! The jacket is just LOVELY. Hi Andy! What an awesome outfit! Could you please let us know where you got the coat and sunglasses from??? They are fabulous! Im in love with this beanie!also,this hairsuits you more! Your hair looks great, little shorter length suits you well :) I love your boots with metallic toe cap! 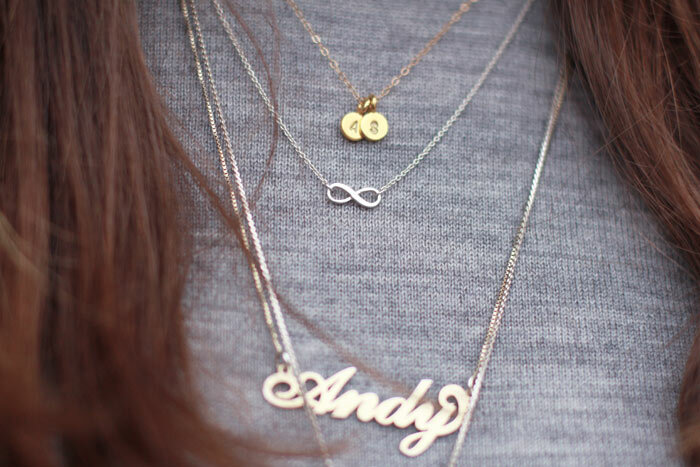 HiAndy!Can you say please where you get that moebius-infinite necklace?I been searching something like that. Small, minimalist, silver and cute. Thanks! 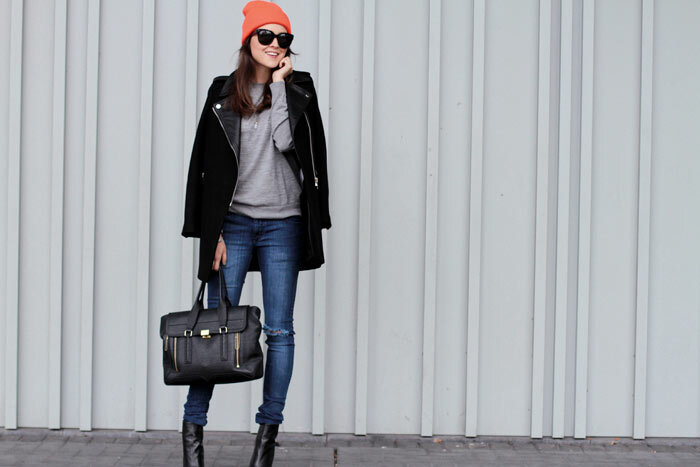 Love this Autumn outfit, especially the beanie and the booties. Love the jacket, it´s realy amazing! the hat looks really cool!www.thepinkshades.blogspot.comxx Amy. A mi me gusta mas como te queda el pelo asi Andy! Te sienta mejor! !Un beso enorme, por cierto aquí por España el sol tambien nos abandono y llego la lluvia! !Un beso guapi!Carmen. Such a great comfy but still looking classy outfit! Love A. Love the coat! Where is it from? Amazing outfit!! !I love the coat!!! where is it from?? 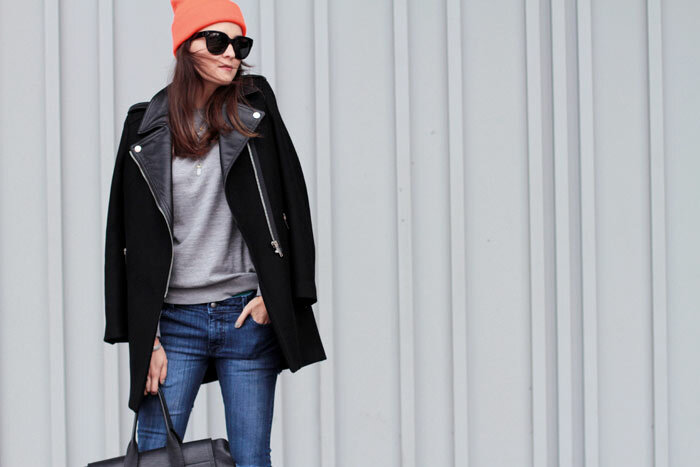 I have very similar jeans from gap – I love them!love Your blog Andy! wow andy i <3 this outfit and you look lovely even with this quite short hair!!! loooooooove. 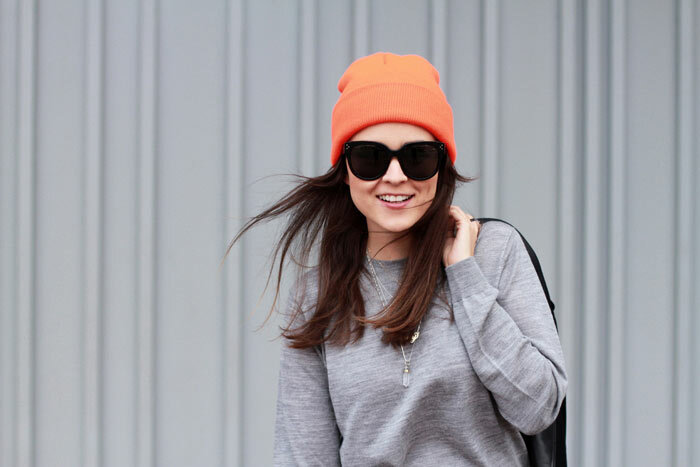 Love this beanie pop of colour ! This kind of outfits are my fave Simple, casual yet really stylish!! Hello! Great look! Where did you buy your coat? I've bought this coat too, absolutely LOVE it. It's going to be my winter staple for sure! Sencillamente perfecta!!! La mezcla de colores y tejidos me encanta… Y los colgantes son maravillosos!!spaniscoolhunterb. Really perfect for a day like today. It just start to rain and it´s a little bit colder. Your hat its so cool! !Miss CocoWWW.JUST-COCO.OM LOOK MUY MUY ESPECIAL!!! !